This book narrates actual events in the life of Asmir, a Bosnian boy whose life takes a 180-degree turn when civil war turns his city into a place of destruction. He flees the city together with his mother, little brother, and grandmother, leaving behind his beloved father, who is not allowed to leave. They become refugees in a foreign country, where they have to learn a new language and adapt to life away from home. Not long ago people would say, “Barack who?” They called him “Barack Yo Mama” and “Barack Alabama.” Now the former senator from Illinois is known all over the world. Why? On January 20, 2009, he will become the first African-American president of the United States!Of mixed race and cultures, Barack Obama struggled for years with his identity and place in society. Having found his niche in public service, he made history as the first African American U.S. President ever to be elected. From Hawaii to Chicago to Washington, D.C., Obama’s life has been interesting and inspiring. In this unique collection of short stories, the small events of daily life reveal big themes—love and friendship, youth and growing up, success and failure. Calling on his own experiences of growing up in California's Central Valley, poet Gary Soto brings to life the joys and pains of young people everywhere. The smart, tough, vulnerable kids in these stories are Latino, but their dreams and desires belong to all of us. Ancient Greeks strove to explain nature and events in the world around them. To this end, they created myths and legends that dealt with gods and goddesses, demigods, heroes, monsters, kings and queens, and clever humans. Thousand of years after their creation, these myths live on and we are still reading, retelling, and dramatizing them. The stories about the Trojan War, Pandora’s Box, Odysseus and his beautiful wife Penelope, the incredible Heracles (Hercules, in Roman mythology), Theseus and the Minotaur, etc. are just a few of the numerous Greek myths and legends this books retells. is five-year-old Fudge's new theme song. He's going to dress as a miser for Halloween and has made big plans to buy the entire world (or at least Toys R us) Fudge's new obsession with cash is driving his older brother Peter crazy! But life really spins out of control when Peter and his family run into their long-lost relatives, the Howie Hatchers of Honolulu, Hawaii. Now Peter has to deal with Flora and Fauna, his annoying twin cousins who burst into song at the drop of a hat, and their weird little brother, named Farley Drexel Hatcher, just like Fudge! Their names aren't the only similarity, and before long, mini-Fudge is causing just as much trouble as Fudge always has! This newest book starring Peter and Fudge is one wild ride! This book presents some of the most important and interesting geological phenomena that have helped shape our planet. Volcanoes, continental drift, and plate tectonics are some of the phenomena that show us how the Earth is constantly changing and evolving. The different types of weather experienced in different regions of the world also contribute to changes on the Earth’s surface. Humans are also responsible for some of the changes in our planet, including climate changes and environmental modifications. This book presents a walk through the history of several ingenious inventions that have had a crucial impact on our way of life. Beginning with the first stone tools of our prehistoric ancestors, humans have been creating and improving on devices, machines, and instruments that make life easier. However, all these wonderful inventions have not happened in isolation; they build on the investigation, experimentation, and genius of earlier inventors. As this process continues, we will surely see some amazing new machines in the future. For thousands of years, humans have gazed into the sky with awe, trying to make sense of their observations. This book presents some of the most important celestial bodies and explains several interesting phenomena that take place in space. Over the years, humans have developed hypotheses to explain their observations of space. Most recently, they have created an assortment of machines (e.g., telescopes, satellites, probes) to make more accurate observations. We are now able to explain many of the things we observe in space, but there are still many questions for future scientists to answer. In El gran ferrocarril, while visiting Smithsonian Institution's National Museum of American History, a girl daydreams that she is Andrew Russell, about to commemorate the completion of the Transcontinental Railroad with his famous photograph. When Gregor falls through a grate in the laundry room of his apartment building, he hurtles into the dark Underland, where spiders, rats, cockroaches coexist uneasily with humans. This world is on the brink of war, and Gregor’s arrival is no accident. A prophecy foretells that Gregor has a role to play in the Underland’s uncertain future. Gregor wants no part of it ―until he realizes it's the only way to solve the mystery of his father's disappearance. 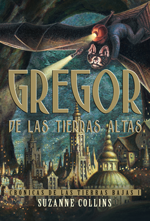 Reluctantly, Gregor embarks on a dangerous adventure that will change both him and the Underland forever. In Huir hacia la libertad, while visiting Smithsonian Institution's Anacostia Community Museum, a girl imagines that she is a slave making a dangerous escape from the South using the famous Underground Railroad. Juan, an eight-year-old Colombian orphan, is trying to remember his past. He asks his grandmother about his parents, but she does not want to talk about it. 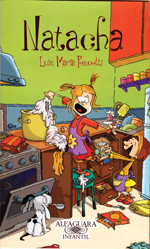 With the help of his friend, Violeta, Juan begins to piece together his story. Finally, the grandmother relents and takes Juan to the forest where he used to live with his parents, and the memories come flooding back! 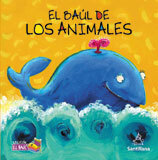 This book teaches us about how animals have adapted to life all over the Earth. From the cold Artic region to the tropical forests, animals and plants interact to create living systems that support one another. Some adaptations in animals include the thickness of their coat, their size, their color, the shape of different body parts, and the type of houses they build. These adaptations help animals survive and thrive in different habitats. In this series opener, Natacha tells us about the origin of the famous “Pearl Girls” and the arrival of her mischievous dog and inseparable companion, Raffles. She also tells us what it is like to go to the movies with a boy, what happens when she decides to cook for her mom, and how bedtime stories should feature. Peter Hatcher, a twelve-year-old boy, learns that his mother is going to have a baby and that the whole family will be moving to Princeton for a year. 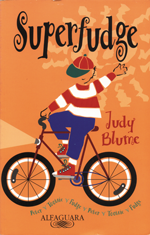 He is worried about starting sixth grade in a strange place and going to the same school as his younger brother, Fudge. But he is a lot more concerned about his new baby sister turning out to be just as big a nuisance as Fudge is now.